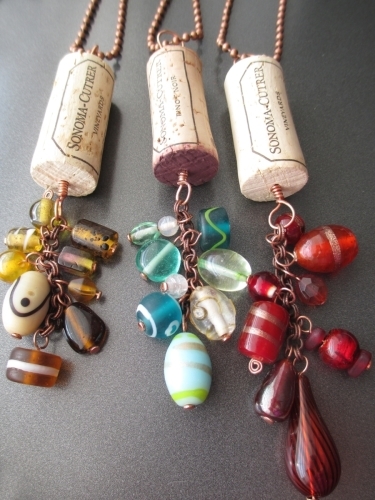 Wine Whimsies are fun necklaces with dangles of colorful beads swinging from a real wine cork. Metals used are silver, gold plate, or copper. These necklaces come with on a ball chain, but can easily be added to an Omega or other chain, velvet, ribbon, or leather.